I’m putting the rest of my series on Magic Books in the American Colonies on hold, temporarily. Partly this is because I’ve decided to get working on the Resources page I have been planning to do for a while, which means that even if the posts themselves are weeks or months apart, they will be easy to read in succession because of their indexing on that page. But mostly it’s because I’m in a holiday mood, and that means I really want to write about winter lore. In case you haven’t heard the related yuletide tale on the show, the folk wisdom goes that these shrubs, which grow after a wildfire has spread through a landscape, bloom from the bottom up. They also go to seed from the bottom up, turning into “fluff” as they go. When the fluff hits the top of the stalks, the first snow will fall, so the story says. I also failed to put a link to listener and blogger Nathalie’s “24 Posts to Christmas.” If you remember, Nathalie shared the lore about the Kuppelchen, a type of house-spirit responsible for taking care of a household and which often appears in families where magical folk are present. In addition to this great bit of lore, Nathalie gives lots of holiday tidbits, tales, and recipes, including one for Grog—a very warming and bracing adult beverage for those cold winter days. She also talks about things like Christmas Markets, St. Nicholas, and lead casting (which we also mentioned on the show, I think). December is full of magical holidays, not just the mid-to-late month festivities that everyone knows about. I’d like to throw two Catholic holidays out there (don’t worry, there won’t be any dogma, just a few of the more magical traditions associated with them). First, there’s St. Nicholas’s Day, which is December 6th. The night beforehand, children leave out their shoes near the door or fireplace, and in the morning, find them full of toys, candy, nuts, and fruit. This custom, which seems to be Northern European in origin, is one I grew up with in my house. St. Nicholas is also usually accompanied by a darker traveling companion, too, such as Ruprecht, Belsnickel, or Krampus. This “anti-Santa” leaves punishments for naughty children, but can also be fairly benign and simply serve to balance out the whole “jolly old elf” side of the season. I remember seeing lots of people dressed as either an angel or a devil on St. Nicholas’s Day while living in Prague, so the tradition of masking also ties into this holiday. There is also an Appalachian tradition called “Belsnicking” which involves making masked visits to one’s neighbors during the holiday season (you can find a lot about that in Gerald Milne’s Signs, Cures, & Witchery). One thing I really wanted to mention, but for some reason didn’t, was St. Lucy (or Santa Lucia). Lucy (whose name is deeply connected to the Latin “luce” or “light”) was a saint who tore out her own eyes as a demonstration of fidelity to her faith. It’s a pretty gruesome thought, and much Christian art depicts this saint as carrying her own eyes on a silver platter. Not exactly the type of story we think of while baking gingerbread men, right? 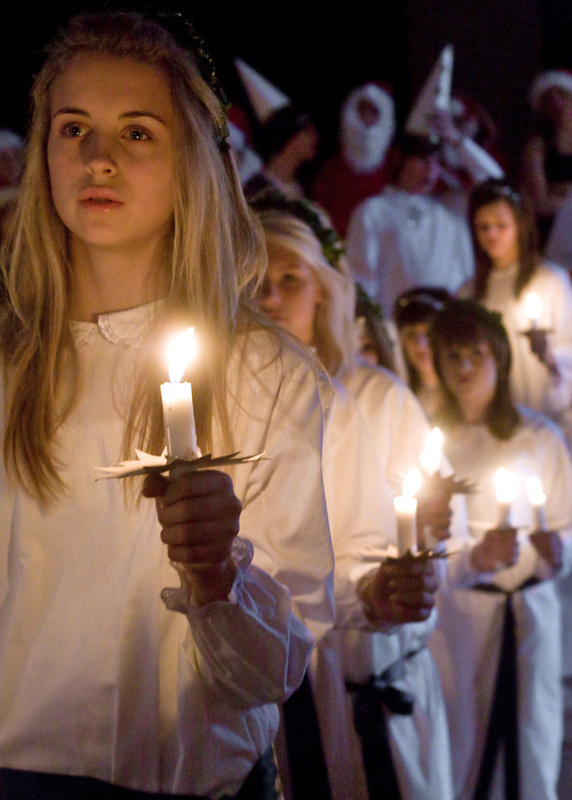 But St. Lucy’s Day, which falls on December 13th, is incredibly popular in Scandinavian countries. Rather than focusing on the awful self-blinding, instead little girls wear crowns of candles and evergreens on their heads as they perform holiday parades dressed in all white gowns. The girls then hand out sweets like gingerbread (pepparkakor) and chocolate to the people they pass, all the while, singing carols. There’s a special type of pastry, the St. Lucia Bun, which is also made on this holiday. In Italy, children leave out coffee or chocolate for Lucia, as well as bread and grain for her donkey. There are still so many wonderful holiday traditions, customs, and magics out there to mention, but I’ll pause here for today. I hope you’re enjoying the spirit of the season! This entry was posted on December 14, 2010 at 12:28 pm and is filed under Blog, History & Lore. You can subscribe via RSS 2.0 feed to this post's comments. The attachment of St. Lucy to the obviously Pagan Scandinavian festival of light is perhaps one of the more blatantly examples of early Christian opportunism! Fortunately, as you said, nothing of the psychotic self-mutilation story has stuck to the festival. 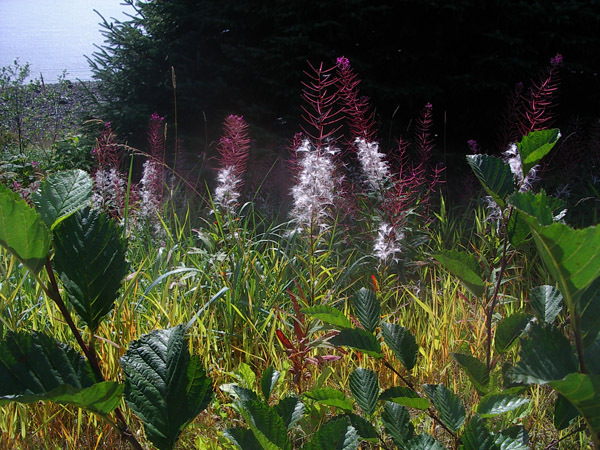 I grew up in northern British Columbia, surrounded by fireweed in the summer, and I never heard the lore about winter coming when the fluff reaches the top of the stalk. But then nobody seemed to know that the young shoots (which are intensely ruby-red) can be cooked as a tasty vegetable. So who knows what additional fireweed lore I missed out on! Great episode – I love hearing about people’s family traditions. Thanks Wulf! 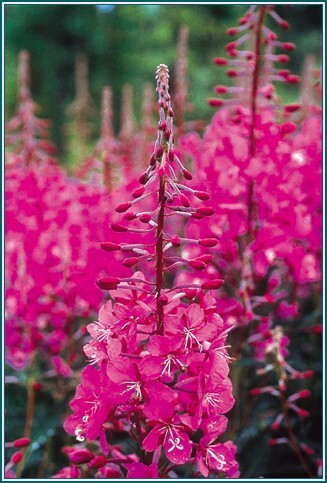 That’s good to know about the fireweed! I’ll have to pass that on to Kathleen, who will really appreciate knowing that, I think. Thanks so much for the positive response on the show, too. I’m really glad people liked it. Honestly, it was mostly just us reading what y’all wrote in, so really the praise is due to all of our awesome listeners! But we’ll gladly take a little praise too, lol.